I have a natural love for creative decorating and design, and enjoy helping homeowners prepare their home for sale. A former Consignment Art Gallery Owner, I enjoyed interior design class at Kendall School of Art and Design, visual merchandising training and experience, along with staging experience. I have a Business Administration Degree from Aquinas College, and am now a HSR Certified Professional Home Stager & Redesigner. I love helping people successfully sell their home quicker, and for more money! At Home Design and Staging is a company that Creates Spaces that make owners and buyers feel At Home! M Real Estate Staging & Redesign Offers a “Team Approach to selling homes. We work closely with the Realtor & Seller to make sure the property is “Market Ready” in its entirety. The First Step in the process is a Staging Report. It covers all of the major prep work a homeowner can do to prepare their home for the marketing including but not limited to cleaning items, repairs, updates, spacial issues, decluttering/depersonalizing, accessories/furniture needed to brighten/warm spaces. Following a Staging Report we help set priorities for the client based on budget and timeline. Our process is ideal for the busy homeowner. We have crafted our services to fit the needs of our clients. We also prepare “By Owner” Properties. Creating unique selling environments using comprehensive techniques and presentations that establish your home as "The Home To Buy" ... for a very targeted market segment. We aim for the bull's-eye and we consistently hit the bull's-eye for a win-win result. Real estate based home staging and organizing for sellers. Organinzing for buyers, sellers, and everybody in between ... especially all those that want to take control of their lives and "Get Things in Order" for less stress and more fun. Save time and get your time back! Here at The SOLD Home we love all things home and people! We work with home owners and Realtors to make sure you are presenting your home on the MLS, and various other listing sites, with the most powerful message, appealing to the masses! We are also happy to do consulting and organizational projects as well! Overall, The SOLD Home is extremely passionate about making sure your visualizations become your reality. Whether you are selling your home or have a mission to enjoy where you are even more, let us help you accomplish this! It's all very possible and we have the tools and resources to bring it to you. Our goal is to make you feel amazing everyday with a space that is complete, wonderful and most of all, home! I’ve been working in real estate for more than twenty years. My team and I have experience in several areas: from property and community management to home design, selling, remodeling, and staging. And, regardless of which of the above we discuss , each property was listed and sold, with 98% of them for more than asking price. Our goal has always been to assist the owner to maximize their return, while maximizing the value to the buyer. With this broad range of experience, I’ve found that staging is the single largest difference between just trying to sell a property and having a property sell itself. For me, it’s always important to remember that buying and selling property is a relational and emotional process. Buyers want to know that the details and extra effort has been addressed, and sellers want to feel that their commitment to staging was worth it. 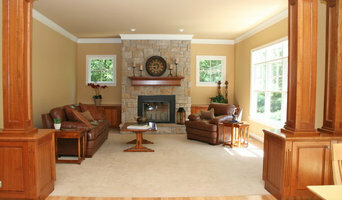 Staging demonstrates to potential buyers that a home is cared about and can fit into their lives. I stage homes for our portfolio of rental properties as well as for others. I specialize in making small spaces live large. Skinny House offers Professional Organizing for any space in your home or business. Take back control of your home and optimize your time with efficient systems. 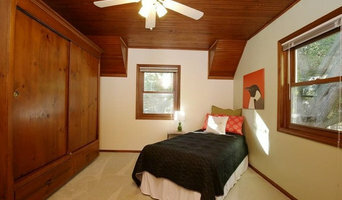 Skinny House Home staging services for real estate listings. Create a highly marketable home in today's competitive market. Design done well speaks to an individual in ways that are beyond words. Joy, excitement, calm and peace are just some of the feelings invoked by great design. Whether looking to showcase individualism and style through a redesign of your home or appeal to potential buyers with complete staging to feature your property’s unique qualities, Alicia James Designs will accomplish just that. With over a decade of experience is client communication and creative, simplistic styling, trust your next project will speak to you through innovative concepts, high quality design and flawless execution. Speak the language of Design with Alicia James Designs. 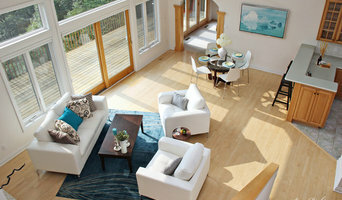 Home Revisions is a staging and interior design company for realtors and home owners. Our services range from a simple review of existing furniture and accessories in occupied homes to fully furnishing vacant homes. Eye 4 Design specializes in the creative staging of furniture, lighting, artwork, accessories, and color combinations. Eye 4 Design provides the perfect setting for the first impression, staged to sell, or simply to enjoy. What does a Holland home stager do? 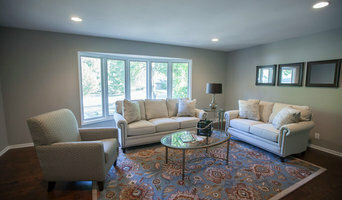 Home staging companies in Holland, MI employ a variety of different techniques to present the home in the best light possible. The first step will likely be to make sure the home is impeccably clean, including the exterior of the house. Next the home stager will work on removing the personal touches that are unique to the current owners. Paint colors might go from dramatic reds and purples to neutral tones like beige and taupe, in order to appeal to the masses. The home will likely be cleared of family photos, risqué artwork, collections and knickknacks, so potential buyers will be able to better envision their own life in the house. In some cases furniture will be swapped out, and you might not even recognize your own house. Some Holland home stagers tackle most of these tasks themselves, while others work with subcontractors and other professionals to get the job done. Here are some related professionals and vendors to complement the work of home stagers: Interior Designers & Decorators, Photographers, Real Estate Agents. The process of staging a home can be difficult for some homeowners, especially when being asked to change things you’ve poured your heart and soul into over the years; but try not to take anything personally, as the stager only has your best interest in mind and no intention of insulting your personal taste. Before you contact a professional home staging company in Holland, MI, make sure to consider a few things: Are you willing to change your home and take the advice of this professional to help sell your house? Do you think your house would greatly benefit from the help of a stager? How long are you comfortable having your home on the market? A staged home is likely to sell faster and, on occasion, at a higher asking price than a non-staged home. While there is no guarantee this will always be the case, it’s often true and can make the entire selling and moving process a lot less stressful in the long run. If you are selling through a real estate agent, it’s a good idea to get their opinion on whether staging your home would be beneficial to your specific situation. Find a certified Holland home stager on Houzz. Narrow your search in the Professionals section of the website to Holland, MI home stagers. You can also look through Holland, MI photos by style to find a room you like, then contact the professional who staged it.